Bone substitution is a term that is used to describe the procedure to "build" bone so that dental implants can be placed. These procedures typically involve grafting (adding) bone or bonelike materials to the jaw, and waiting for the grafted material to fuse with the existing bone over several months. 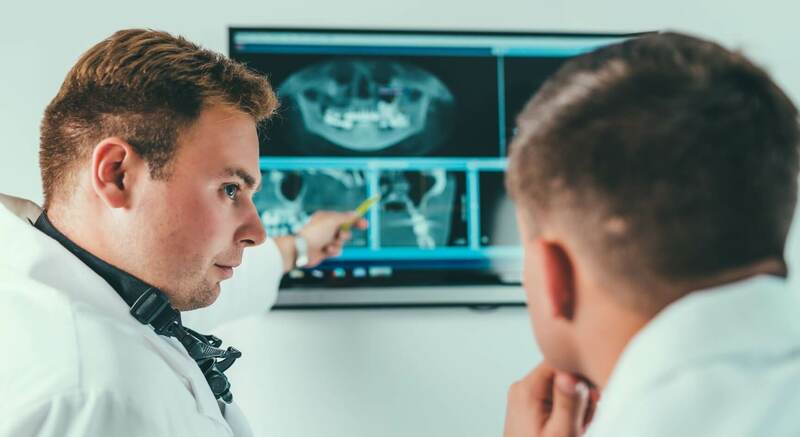 After a bone-substitution procedure we usually wait 6 – 8 months before placing implants except for certain cases when bone substitution and placing dental implants are possible at the same time. In the upper jaw above the back teeth, it is possible to increase the height of bone available. This procedure is called ‘sinus augmentation or sinus lift’ and it involves lifting the sinus membrane and completing the gained space by bonelike material. Without this process many patients would be unable to have dental implants in a part of the mouth where teeth are so commonly missing. Root resection is a surgical procedure to remove an untreatable, fractured, or dissolving root while retaining the original tooth's structure. Root resection and other endodontic surgical procedures (such as post/core treatment) are done in instances where conventional endodontic (root canal) treatment is not sufficient to save the affected tooth.